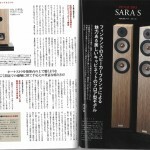 John Atkinsons (Stereophile) words about Cenya from RMAF 2011. “The next room did have that magic, at a substantially lower price, and from companies that were new to me. The Penaudio Charisma monitor at $2995/pr is designed to mate with the Chara woofer at $2500. Wrapped in a thin veneer of plywood, the visual impression was that the entire loudspeaker cabinet was carved out of a stack of plywood, giving it a very modern look. First time for Penaudio in San Francisco. A week after Frankfurt show bass unit Chara with Rebel2 and Charisma were doing a great job again. The feedback coulnd´t have be any better. Many of the visitors stayed for a quite some time and enjoyed what they heard and saw. We would like to thank all of you who visited us. We had a great time thanks to you. 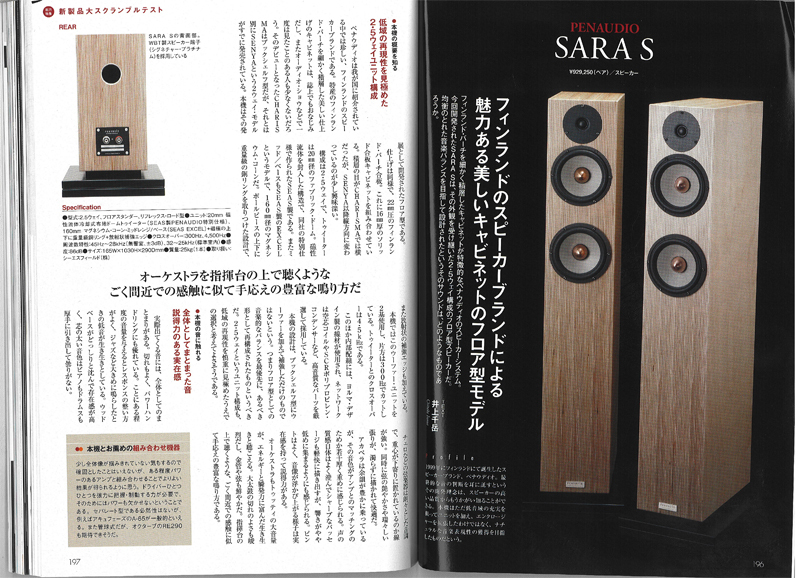 Penaudio Sara was reviewed by Stereo&Video, Russia, 2011. Files are so far pretty large 13M so be patient. 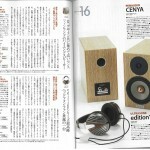 "Sami Penttilä, Penaudio & Fast Cars/Inneworld Audio Magazine/October 2010"
"Rebel3 reviewed in TONE Magazine February/2010"
"Serenade reviewed in taiwanese My-Hiend August/2008"
"Image Hifi 5/2008 (Nr. 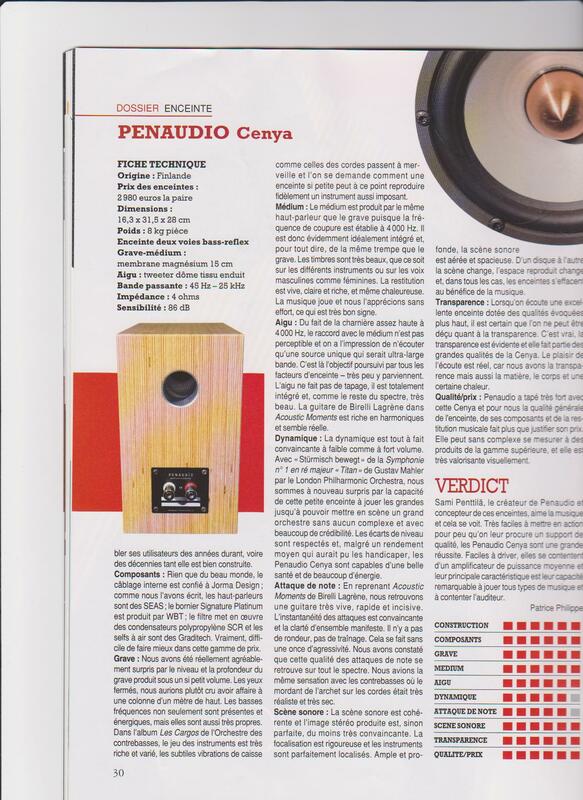 83): Company story about Penaudio: Aus hartem Holz geschnitzt"
"Rogue6 got five Stars in test of T3 Magazine in Russia." "Penaudion Chronos - kuuntelemisen visuaalinen mielihyvä"
"Jos kaiutin näyttää hyvältä, tyylikkäältä, se ei voi soida hyvin. Vähän samaan tapaan kuin jos misu näyttää sievältä, hän ei voi olla viisas. Typerää, asenteellista. Mitään loogista, välttämätöntä suhdetta ulkonäön ja äänen - tai fiksuuden - välillä ei ole. Käytäntö ratkaisee." "France / Prestige Audio Video | No. 126 - Septembre/Octobre 2007." "France / Stereo & Image | No. 15 - Juillet/Aout 2007." "France / Haute Fidelite | No. 123 - Juin 2007." "As I mentioned before, my earlier experience with the Penaudio Chara/Charisma system resulted in my awarding it a Stereo Times “Most Wanted Component” award. With the Serenade, history is repeating itself. Highly recommended." "The Serenades exhibit clarity, transparency and neutrality at every listening." "Once you are done admiring the elegant cabinet and the fact that there is lot of very nice sound coming from Serenades, they lie back and let you listen." "The Serenades get it right." "They merit serious consideration by anyone who loves music and might rather not spend $20.000 or more on a speaker." Poland / What Hifi – October 2006. ”The sound quality"Serenade was a highly successful takeoff for highend." "There are high resolution and clarity in sound; real existence of space." "Serenade is prove beyond the level of any modern flagship loudspeaker." 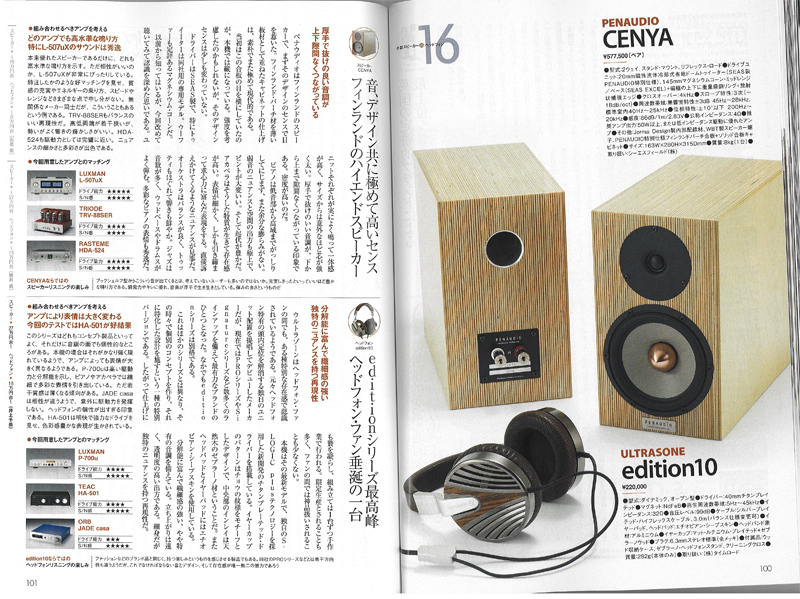 ”THE PENAUDIO REBEL2 LOUDSPEAKER - Rebel With A Cause"
“The Penaudio Charisma/Chara is a dream come true." "And how cool was Penaudio´s Charisma? 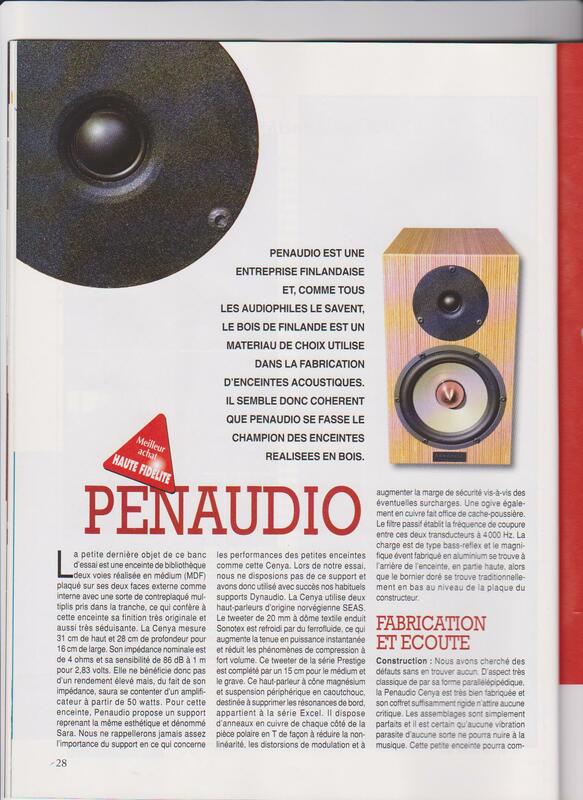 One for imaging fanatics"
"After hearing Penaudio Charisma I would say that it was the first loudspeaker that I was able to experience the beauty of concert hall at home, with all its sound ingredients and details." The speaker itself is small, but it is energetic and has wide range response. Jazz wood bass doesn't reach to very low notes all the time, but its texture is very clear, especially feeling of pizzicato is expressed well and sounds deep. Piano sounds sharp and clear. Resolution of harmony is high and vivid. When listening a little while, the sound became thicker and had larger scale. Boy soprano sounds limpid and delicate, and no distortion of harmony. It is beautiful. The soundstage is wide and expressed unmixed. Chorus stays back in stage and its reverberation is reproduced well. It has high pureness of voices and very delicate expression. Harmony separation in chorus is good. Real note and its reverberation are resolved well. Charisma & Charm's sound was admirably well in balance. They produced richly detailed sound with very good soundstaging capability. Speakers were solid all range performers, they were at their best with acoustic music, both classical and jazz." "At the same time the imaging is excellent, especially stage depth, which with the Korato's went way behind the back wall. Detail was good without being exceptional, but certainly they were very fast, contributing to a fine sense of rhythm. They also had a definite preference for acoustic music, sounding wonderfully uncoloured with 'Jazz at the Pawnshop' and 'Take Five', dry bass light speakers often do."